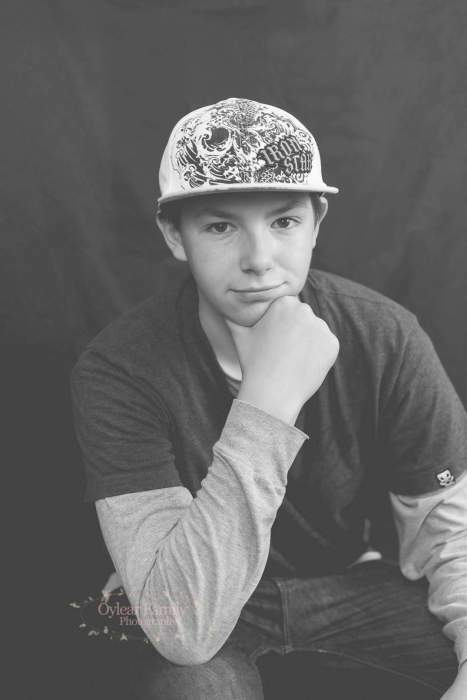 Izah (Gonzo) Nicholas Gonzalez, 14, of Baker City, Oregon and formerly of La Grande, Oregon passed away on September 5, 2018, in Baker City. A private Celebration of Life will be held Saturday, September 22nd, 2018. Izah was born in La Grande, Oregon on November 20, 2003. His family moved to Baker City in Winter of 2017. Izah had just started high school in Baker City. He previously attended La Grande Middle school. There he had touched so many lives, as one student said “He made the school happy”. Since Izah was a young boy he dreamed of being in the military. As he got older he had a passion for basketball and wanted to play in the NBA. Izah was known for wanting to be one of the first kids to school so he could go out and play with his friends on the basketball court. He always strived to be the best at everything he was doing. He enjoyed playing sports, being with his family, spending time with his girlfriend Taylor, going to the mountains, and listening to music. Over the last few years Izah would spend the summer with his Aunt, Uncle and cousins in Hillsboro, Oregon. There he enjoyed eating peanut butter and banana french toast and bowling with his uncle. He was a great friend to many and very close to some like a brother. Izah is survived by his mother, Tammi jo Eaton; father, Joseph Gonzalez; brother, Damian Gonzalez; girlfriend, Taylor Brown; grandparents: Mickie Sharp and Jesus Gonzalez, Linda and Lloyd Wallingford, and Dale Eaton; aunts and uncles: Monique Gonzalez, Natasha Gonzalez, David Gately, Christopher Eaton, Natasha and Guy McCarthy, Sasha and Michael Oylear, Allysa and Daniel Hosford; cousins: Novalee Pantle, Malaki Gonzalez, Duante Gonzalez, Christopher Oylear, Timothy Oylear, Jacob Oylear, George Oylear, Brandie MacKay, Eithen MacKay, Ahmyah Eaton, Sophia Eaton and Jesse Gonzalez; and many close friends. Izah was preceded in death by his Great Grandma and Grandpa Casteel, Great Grandma Voyles, and Great Grandma Wallingford. Memorial contributions to assist the family may be sent to Gray's West & Co. Pioneer Chapel at 1500 Dewey Ave., Baker City, OR 97814 or by using the Appeal for Donations button on the left side of this webpage.